Public art found its way to Cape Girardeau. 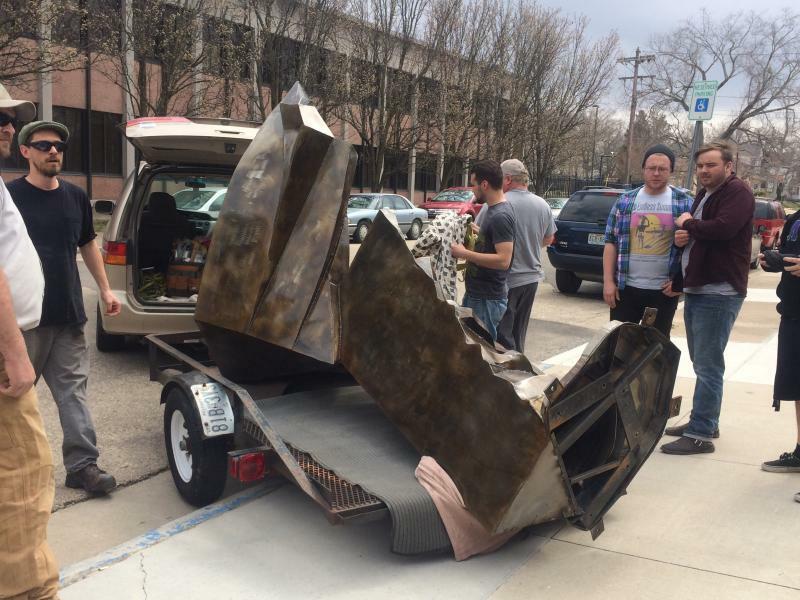 Seven sculptures will be exposed along the Broadway corridor and will remain there for a full year as part of the first Outdoor Sculpture Exhibit starting this Friday April, 4. The Public Art Committee launched this project about two years ago with the idea to change the environment in the community. Chris Wubbena is an art professor at Southeast Missouri State University and he has been an exhibiting outdoor sculptor for many years. He believes public art is something belonging to the everyday environment and that its adds to the community in a way that affects our everyday lives. He said the exhibition is the opportunity to bring more interest in the arts to the community and help revive the downtown area. 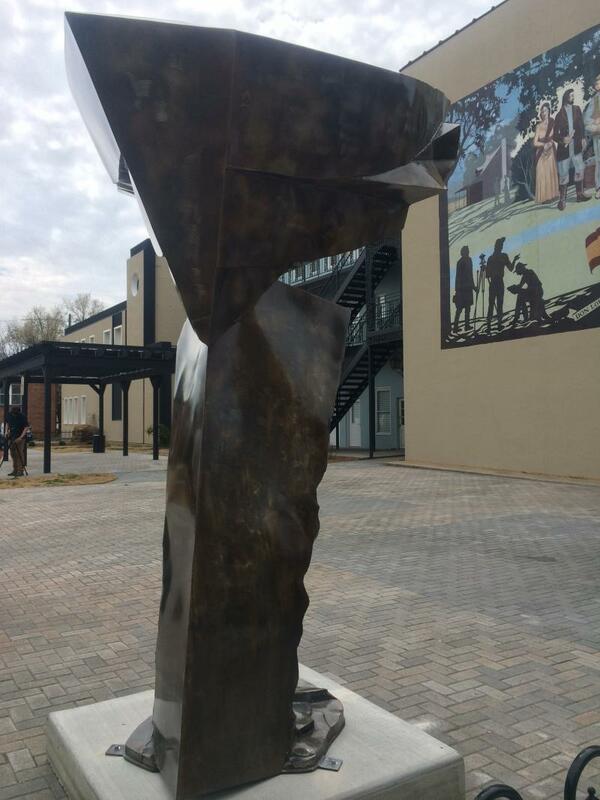 “After Broadway was completed I saw that as an area that would be just perfect for outdoor sculptures, and the way the River Campus has grown, and the Farmers Market, all these community events that are growing in Cape Girardeau, I kept thinking that art or public art is something that could grow along with that,” Wubbena explained. The Public Art Committee is made up of representatives from around Cape Girardeau. Two of them are artists, Wubbena and Don Greenwood, and Murielle Gaither is the Executive Director of the Arts Council of Southeast Missouri. But not all of them are art specialists. Tim Arbeiter is the Vice President for the Cape Girardeau Area Chamber of Commerce, Julia Thompson is the Parks and Recreation Department Director with the City of Cape Girardeau and Marla Mills is the executive director at Old Town Cape. However, lacking an art background does not stop anyone from contributing to art culture. Marla Mills sees this exhibition as the occasion to bring awareness in the art and help improve economic development. “Part of the strategy from the whole committee is to help revive life to downtown and to really use this exhibit as a tool to bring more people into the area, both local, regional people and tourists who maybe travel across communities looking for this type of an exhibit,” Mills said. 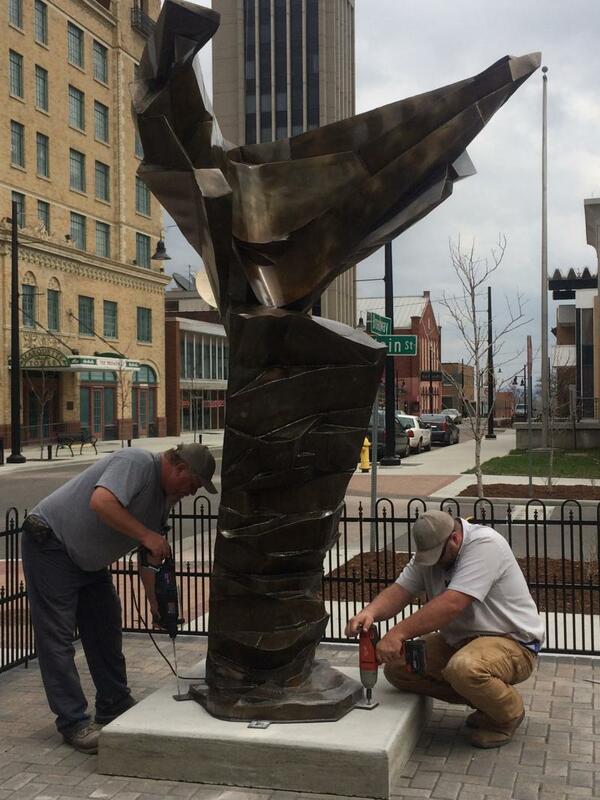 Tim Arbeiter believes that having public art is a quality of life feature for the city. 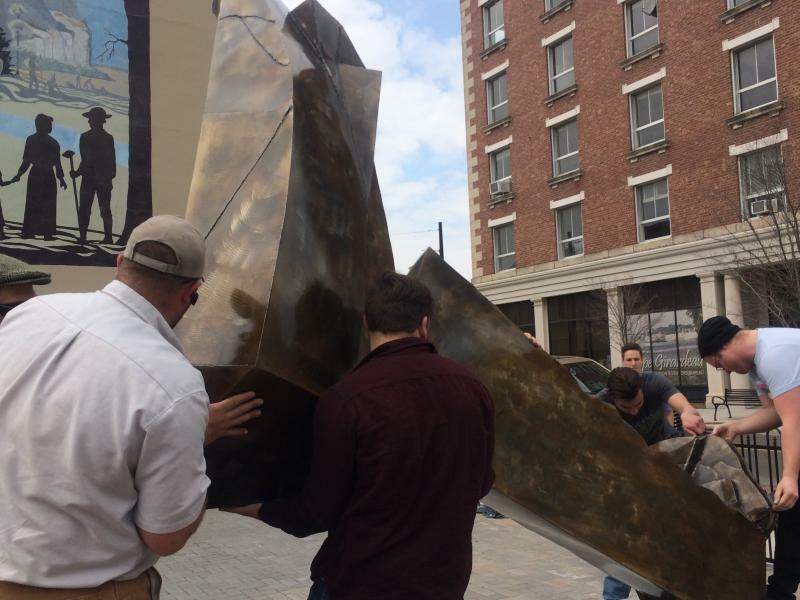 “Public Art is one of the many activities that now Cape Girardeau can have as people are visiting, and wandering around and enjoying our great city. We just also hope that they spend some additional time and money and resources while they are here, visiting our shops, visiting our restaurants and just finding additional ways to invest more dollars into our local economy,” he explained. Seven pieces, ranging in size and material, will spread along Broadway, from Pacific Street to Spanish Street. Two of the sculptors are from Chicago, two others are from Iowa, one comes from Kansas City and the last two are from Cape Girardeau, including Chris Wubbena as a special invitation. Tom Stancliffe, juror of the exhibition and art professor at the University of Northern Iowa, said he selected works that all seem to be telling a story, whether it is symbolic or literal. Some of the pieces are representational while some others are more abstract. For Wubbena, his piece is a mixture of the two. “My piece is titled Victoria, it’s modeled after the Nike of Samothrace which is in the Louvre, or Winged Victory. But my piece isn’t made out of marble, it isn’t made out of stone it isn’t carved, it’s fabricated out of mild steel. It’s not light in color it’s dark and so it’s a different kind of idea of victory. It’s a less, in a way, optimistic take on victory in an attempt to be realistic about what victory might mean,” Wubbena detailed. The exhibition will last for a year and each member of the Public Art Committee hopes that it will become an annual event. Wubbena said that is typically what happens with these kinds of exhibitions. “For a whole year it will add something dynamic, something that will challenge people. You may look at the individual pieces and say ‘I don’t get it’ and that’s perfectly fine, you’ve got a whole year to figure out what you do get, or what you do understand, what you do appreciate. You may never fully understand what the artist was trying to do, but if you pulled something from it, I think that’s important. It’s something different, it’s something rich that add to culture and community,” he added. The exhibition will officially open on Friday April 4, after a kick-off event at the Vasterling Suites Courtyard at 6 p.m.
A panel discussion with some of the sculptors from the exhibition will also be hosted this Friday in the Glen Convocation Center on the River Campus of Southeast Missouri State University from 12:30 to 2:00 p.m. The artists will discuss their pieces and talk about what happens to art in the public space.